I love my iPad; but so does my wife Jenny. This is usually fine because she knows the iPad is primarily for my work, so she willingly stops playing with it when I need it. Then I discover that I'm a great artist in Draw Something, and it's not me. Whenever Jenny plays with my iPad, she's playing under my account. Sure, I can log out of my GameCenter or Facebook account and let her login with hers. But this is not only inconvenient, but also a pain on iOS when using secure passwords. User accounts in iOS 6 could be really simple. Unlock the iPad and the screen could be split into notifications for each account, or swiping the notification area could switch between each account's notifications. The default “slide to unlock” could unlock the most-recently used account, while there could be another, just as simple option, for unlocking to one of the other accounts. This might just save your marriage. Do you share an iPad in your family? How can you see user accounts being useful to you? Or what are you hoping for most in iOS 6? 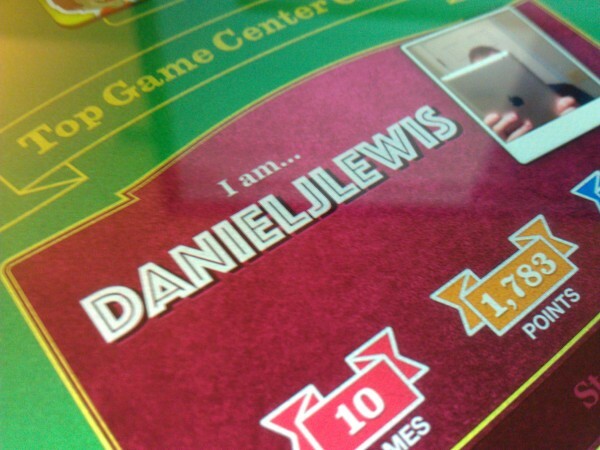 By the way, feel free to add me in Game Center: DanielJLewis.